Kick off your visit on the 11th (Sun): hike along Mariposa Grove of Giant Sequoias, then explore the striking landscape at Sentinel Dome, and then take in the dramatic natural features at Glacier Point. 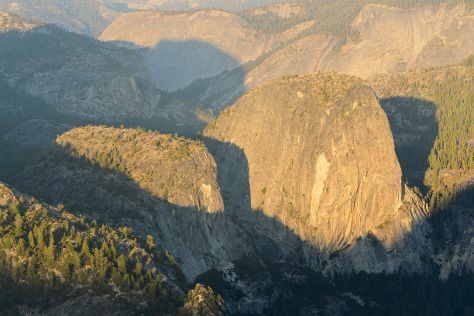 On the 12th (Mon), you'll have a packed day of sightseeing: don't miss a visit to Yosemite Village, then take in the dramatic natural features at El Capitan, then take a memorable drive along Tioga Pass, and finally don't miss a visit to Olmsted Point. To see maps, other places to visit, traveler tips, and tourist information, go to the Yosemite National Park day trip planning site . In November, daily temperatures in Yosemite National Park can reach 54°F, while at night they dip to 19°F. Finish your sightseeing early on the 12th (Mon) to allow enough time to travel back home.